Do you ever have those nights where you just don’t want to go out to eat but you also have nothing in your house to make? 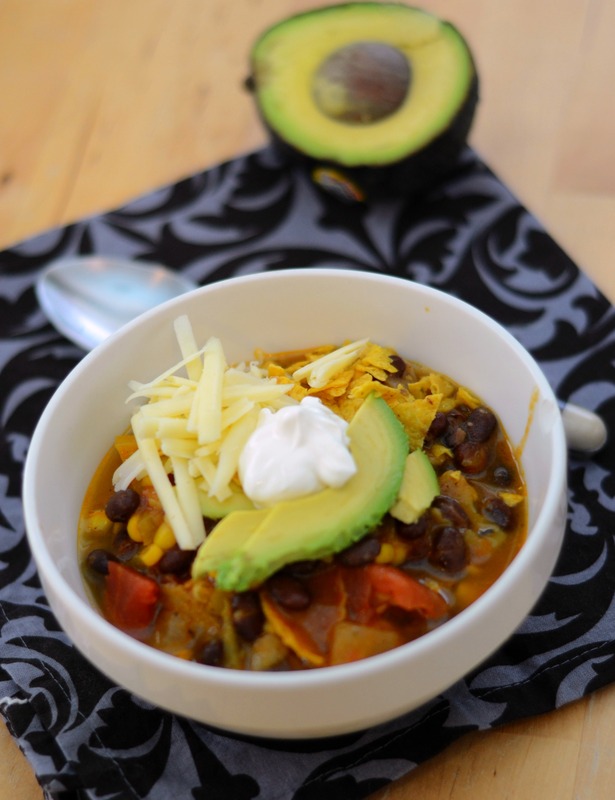 This vegetarian tortilla soup was created in one of those moments. We had just returned from our vacation and I just didn’t have it in me to get to the grocery store and I really didn’t want to eat another meal out. I dug through the cabinets and came up with this. Since then, I have made it a couple of times to really figure out how to enhance the best flavors. 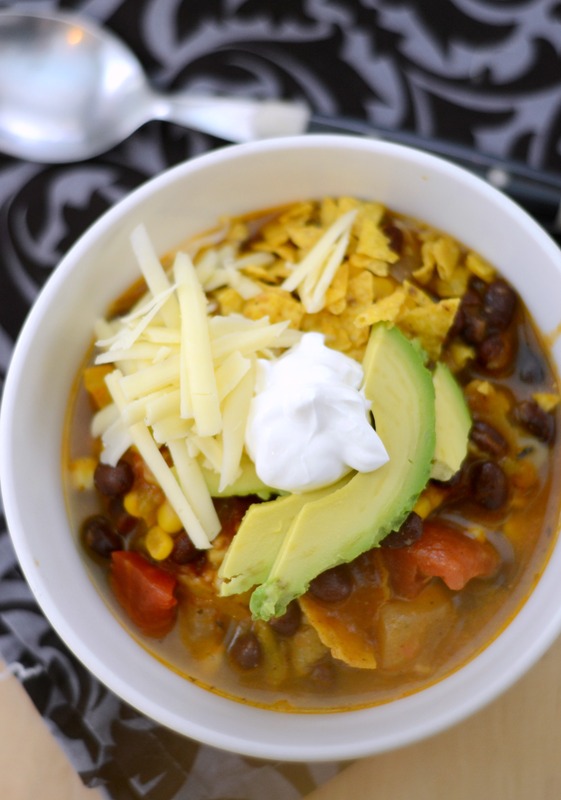 Corn, black beans, tomatoes, cumin, green chili peppers and chipotle—topped with sharp cheddar cheese, sour cream, perfectly ripe avocados and crunchy tortilla chips–there is something here for everyone. This is similar to my chicken tortilla soup but made vegetarian because a) we had no chicken and b) we are planning to eat less meat. I highly suggest adding this to your weekly meal plan for those nights when you need something warm on on the table quickly. An easy weeknight meal that is great for vegetarians and meat eaters too. 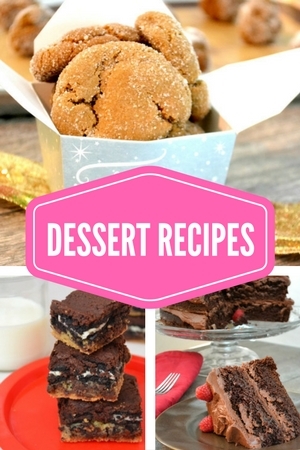 It is easy to make custom for individual tastes and is full of great flavors. In a saucepan heat up the olive oil, add the onions and saute for about 1 minute. Add the spices and continue to saute until fragrant. Add tomatoes, corn, beans, chiles, and vegetable broth and simmer for about 20 minutes. During the last three minutes of cook time, add the crushed tortilla chips. Serve with all of the toppings–especially a ton of avocado!